The major objective in root canal treatment is to disinfect the entire root canal system. This requires that the pulpal contents be eliminated as sources of infection. 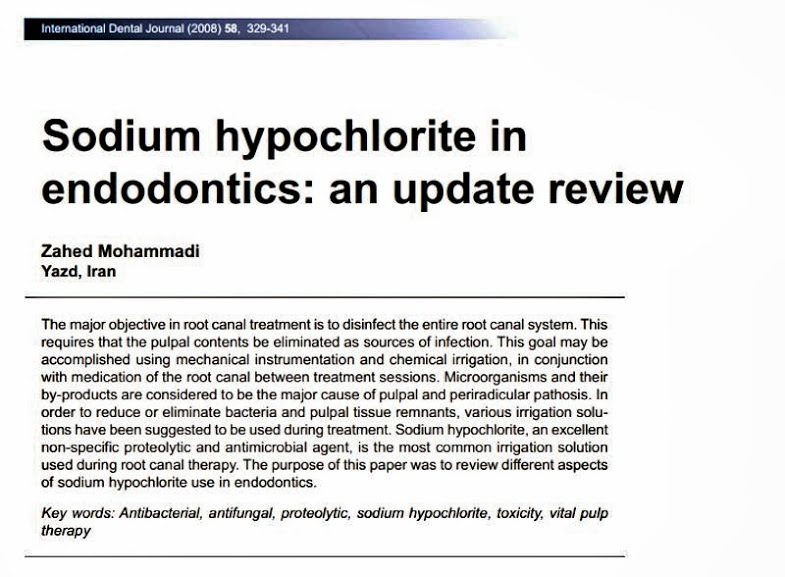 This goal may be accomplished using mechanical instrumentation and chemical irrigation, in conjunction with medication of the root canal between treatment sessions. Microorganisms and their by-products are considered to be the major cause of pulpal and periradicular pathosis. 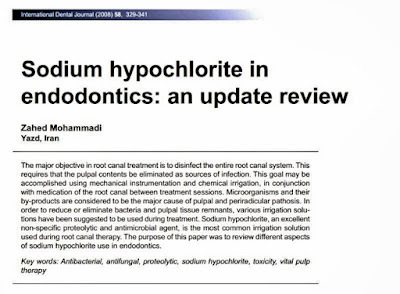 In order to reduce or eliminate bacteria and pulpal tissue remnants, various irrigation solutions have been suggested to be used during treatment.